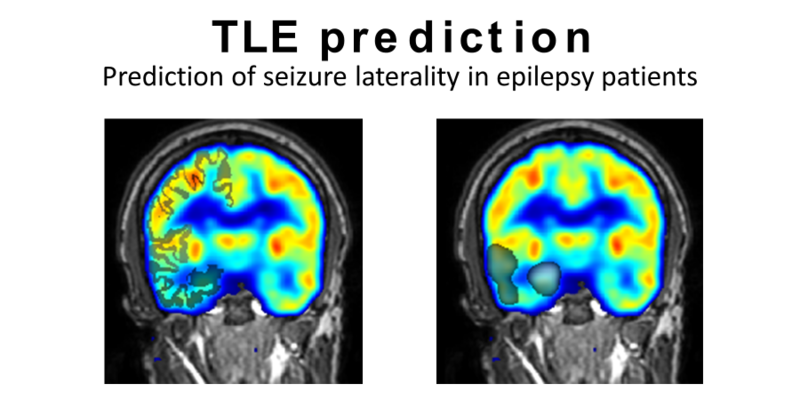 TLEprediction is a small tool that uses R and Matlab to achieve the prediction of seizure onset laterality in patients with temporal lobe epilepsy. The tools uses three PET asymmetries to achieve the prediction and has been demonstrated to produce highly accurate prediction. The output is both a probabilistic classification from 10,000 bootstrapped predictions, and confidence intervals of posterior probabilities, both of which can be used to assess the confidence of the prediction. Details are available in Pustina et al (Neuroimage Clin 2015 (9) 20-31).